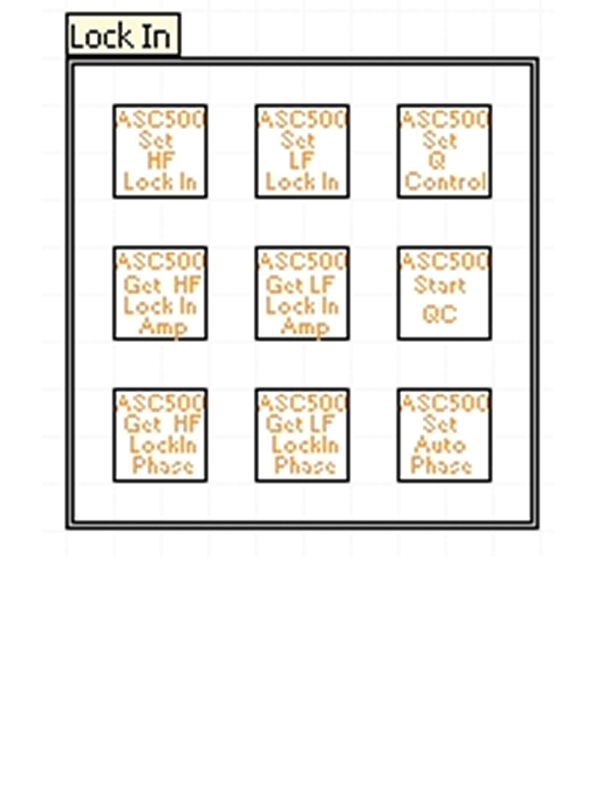 The ASC500 basic version constitutes a controller based on the same hardware as the ASC500 full version, but without any of the AFM related features such as z control and HF lock-in etc. All of those additional features can be upgraded later very easily via the purchase of upgrade codes. 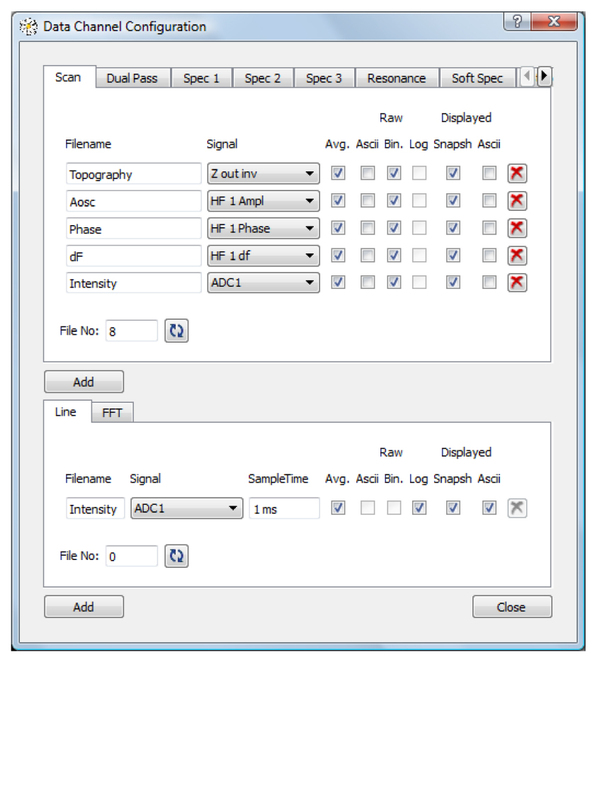 The ASC500 basic version is intended for use with almost any variant of confocal microscopy based on the control of a piezo scanner combined with data acquisition on several channels, and straightforward interfacing to external devices such as e.g. a spectrometer or other devices. 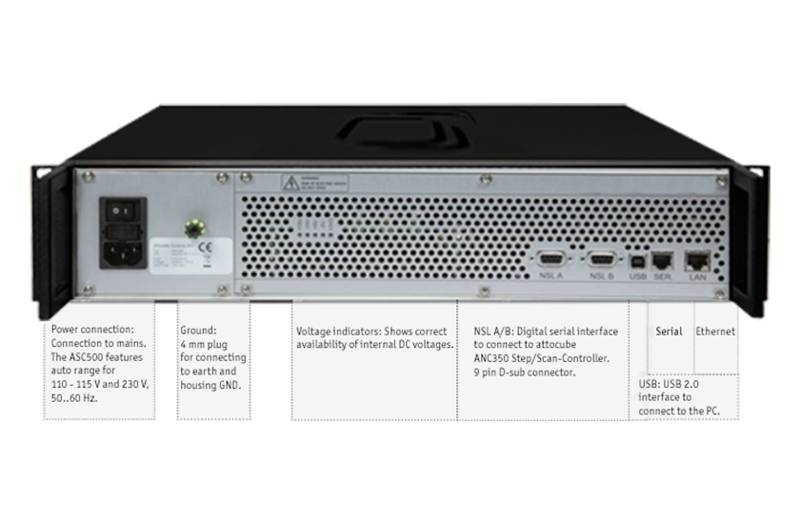 Note: Image shows ASC500 full version; basic version is upgradeable, but does not include all features. See specifications for details. 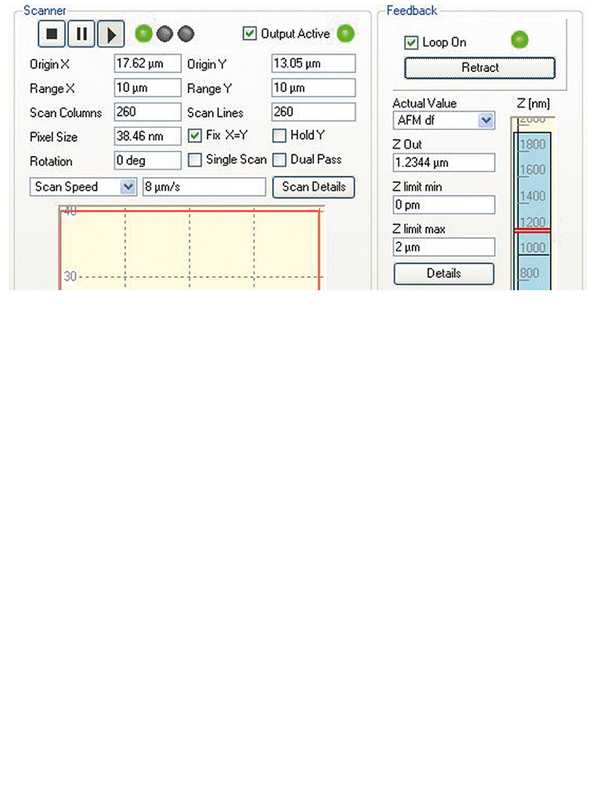 The ASC500 now supports closed loop scanning at low temperatures as an upgrade option. 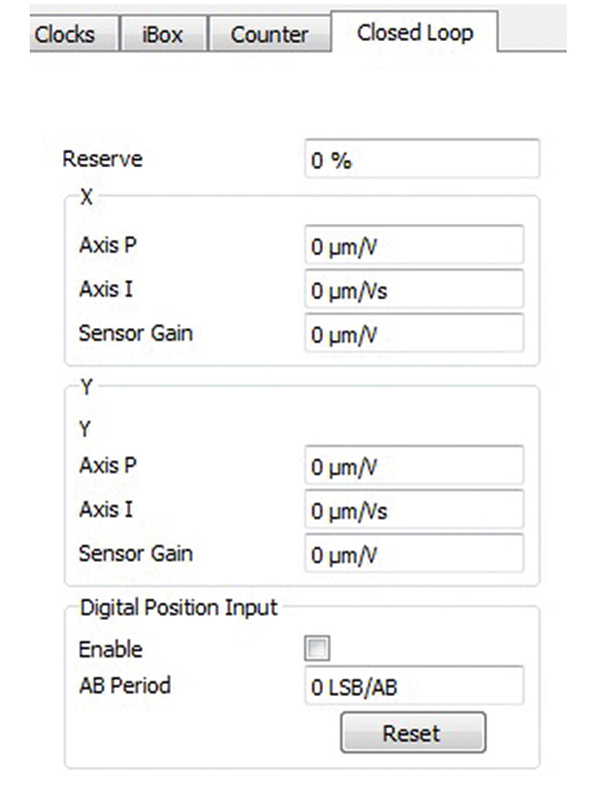 With different sensors closed loop positioning ranges up to 5 mm are possible with extremely high resolution. 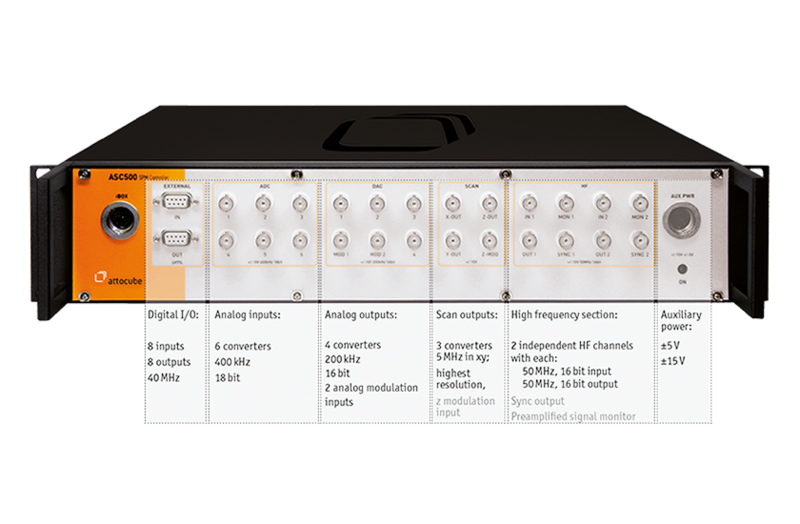 This unique concept provides not only compensation of scan non-linearities, but also full repeatability/recovery of positions over the full coarse range with nm resolution. 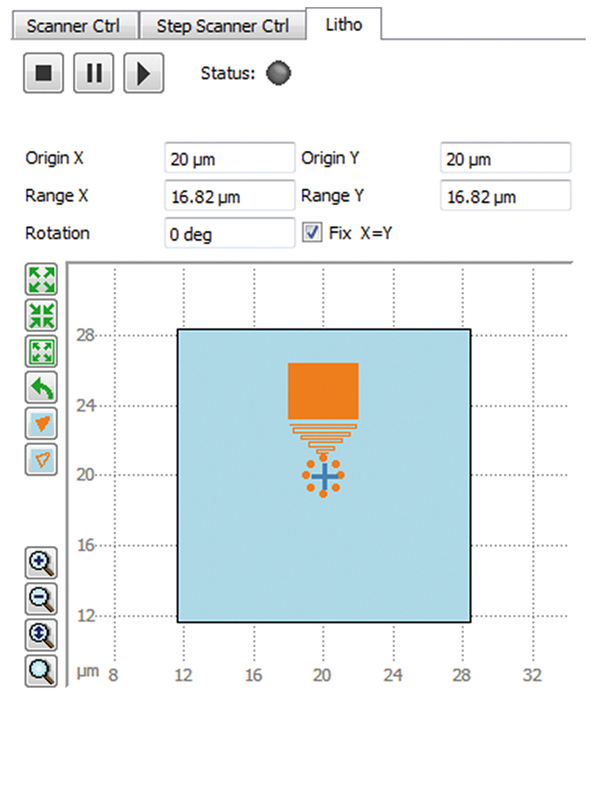 Switching back and forth between different hot spots on the complete sample has never been easier. The ASC500 is fully compatible with the FPS3010/FPS 19“. The ASC500 also offers a lithography mode. Any geometrical shape composed from convex polygons and single dots can be scanned with full control over scan speeds and line spacings for each shape unit. Shape definition is done via text files for full flexibility. Furthermore, a shutter can be controlled via TTL pulses for each shape unit. Lithography can operate in both open and closed loop mode. 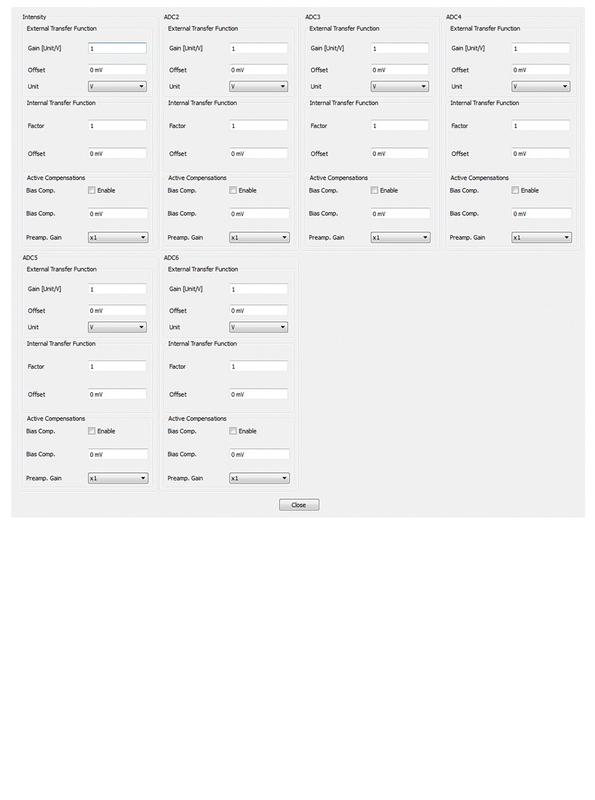 The full package of LabVIEW™ drivers is included in every unit at no extra price.